WASHINGTON — Area leaders trying to figure out how to stimulate growth agree that funding Metro is critical to Metropolitan Washington’s economic future. Dinegar says more opportunities for growth are available when Metro is stronger, more reliable and more consistent. He adds that regional leaders should work on that together. 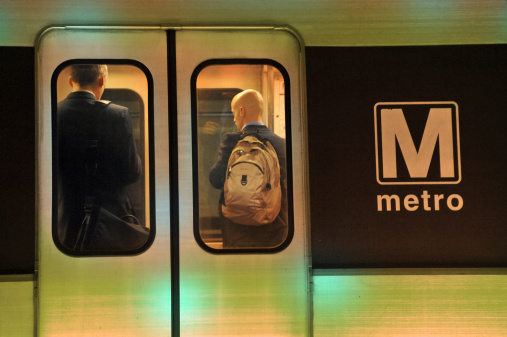 The Metropolitan Washington Council of Governments (COG) chairman is among local politicians who support dedicated funding for Metro that would be supplied by area governments. “We have to come together and say ‘OK, this [current] funding mechanism does not work,’” said Roger Berliner, also the vice chairman of the Montgomery County Council. Dedicated funding for Metro is among recommendations in “The Roadmap for the Washington Region’s Future Economy,” from George Mason University’s Center for Regional Analysis, which was presented to COG’s board on Wednesday. “I know politically it’s hard, but it’s necessary,” said Arlington County Board Member Christian Dorsey. Ridership numbers are down on Metrorail for numbers of reasons. Later this month, numbers of celebrations will acknowledge the 40th anniversary of Metrorail. The first part of the system connected DuPont Circle to Rhode Island Avenue and opened on the Red Line March 27, 1976.